The difference with Us is in the "PLUS"
Welcome to Condo Management PLUS, Inc.
Condo Management Plus Inc., services condominium associations throughout Pinellas County primarily along the beaches. We are a family owned and operated business with deep roots in the community. Phil, Scott and Joyce have lived in the area since 1981. Joyce served as Membership Director for the local Board of Realtors for sixteen years before joining the condo management business in 1995. Phillip and Scott have experience working as regional managers for a large software company and began working as property managers shortly after Condo Management Plus, Inc. was formed. The original company, Quality Management Services was founded by Mr. Frank Schnoor in the early eighties and was located in St. Petersburg Beach. 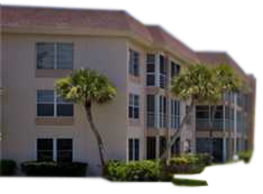 In 2006 Joyce and Ken Adams purchased and incorporated the business which is now Condo Management Plus, Inc. and moved it to Madeira Beach. In 2011 Phillip and Scott Dvorak took the lead in the day to day operations of the business. Over the years we updated our office and moved its location from Madeira Beach to Indian Shores and now to Seminole. Its new location is 5666 Seminole Blvd. Suite 103, Seminole FL 33772. We keep growing and are very proud of our new location, please stop by and visit. We take the “PLUS” in our name seriously. Here are a few examples of what the plus means to you. We work with insurance vendors that specialize solely in condominium insurance. When we heard about Citizens Insurance and other companies insisting on a current certified appraisal before they would renew insurance, we acted. We found and contracted with a company to supply our customers with certified appraisals for one-third the going rate. We continuously monitor the industry for developments that could impact our customers and communicate to them in “Board Alert” or “Board Talk” memos to all Members of the Board. If we find something that we feel needs immediate attention while inspecting your property, we provide a report with photos to the Board for their consideration. © 2013 Condo Management Plus, Inc. All Rights Reserved.